When evil threatens a hero rises against all odds to save the Sparklite. Players assume the role of Ada, a genius engineer, lost in a strange new land thrown into turmoil by gremlins. Ada must help save the world by stopping the invaders from extracting the last of its life-blood, the magical Sparklite. But nature is fighting back too! Violent earthquakes, known as disruptions, periodically shake up the terrain, causing new arrangements and layouts within the world. After each disruption come new quests, minigames, and challenges for Ada to overcome as she builds up her strength to defeat the mysterious “Baron”. 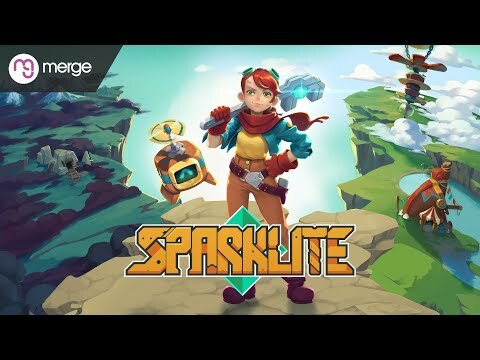 Sparklite is a roguelite brawler-adventure set in a whimsical world where players invent guns and gadgets to solve puzzles and defeat enemies. Sparklite is an “approachable roguelike”, borrowing the procedural content and randomness from roguelikes like Rogue Legacy and combining it with the appeal of classic adventure games titles like Zelda: A Link to the Past. The upcoming Sparklite PC, PS4, Switch and Xbox One release date is Q4 2019 in the US and the UK. Notify me when Sparklite is available.